The Emotionally Intelligent Preschooler (Part Two) - Preschool Programs I Child Time Inc. In part one, we examined what empathy and the preschooler looks like and how at this stage of development, empathy isn’t able to be fully understood, but should still be taught. We ended it with a couple of ways to cultivate empathy, which is where this post picks up. If you’re curious about preschool programs in the Salt Lake City area that encourage kids to create their own learning based on what they find interesting, Child Time Inc. does just that! 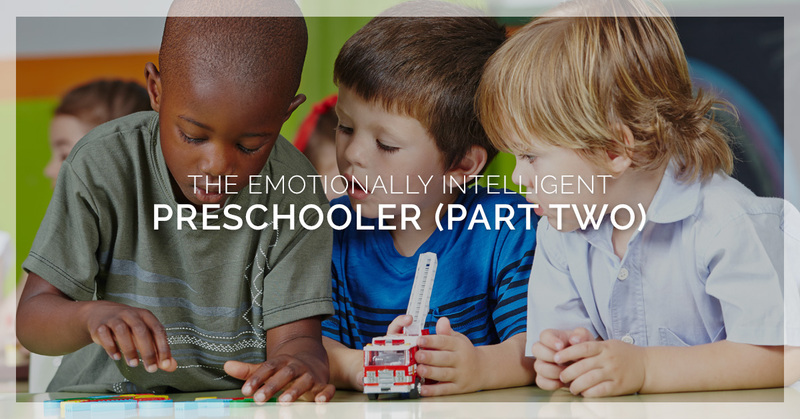 Follow along as we conclude our post about empathy and the emotionally intelligent preschooler. Encourage your preschooler to really feel and share their feelings – Oftentimes in our culture, people of all ages are taught to suppress their feelings instead of exploring them. Let your child know it’s certainly acceptable to feel their big feelings and that they’re safe talking about them. Listen and engage with what your child is telling you and respond by reiterating what they told you and clarify with them that that is what they meant. You can do this when they’re happy and smiling and laughing, you can respond with, “Awesome, you’re feeling happy today,” or when they act out and storm off you can address why they stormed off and help them identify the feeling they felt when they did it. Model empathy – As a parent or caregiver, it’s important that you explain different situations to your child and how you’re feeling. If you’re out running errands with them and are upset about waiting in a long line, explain exactly how you feel. Conversely, if you don’t like your child’s behavior, tell them why you don’t like it and how they can change. Keep in mind your child is always watching, so practicing empathy authentically in everyday situations is always advantageous. Identify when others display empathy – It’s important that your preschooler can identify empathy as well, so point it out when it happens. If you’re at the pool and you drop your goggles and someone picks them up and returns them to you, tell your child, “That person was so kind for picking up my goggles and returning them, wouldn’t you agree?” When you identify empathy in others you help your child understand how other people’s actions can affect them. Teach verbal tones – Preschoolers are still learning verbal cues and sometimes have a hard time discerning between frustration, anger, happy, disappointed, etc. Practice by playing a game and using a couple words such as, “Can you help me” and say it in different tones. This gives them the opportunity to tune into different emotions and identify what someone else may be feeling. There are many ways to help your child become familiar with the concept of empathy, even if they don’t quite understand it. The earlier they’re exposed and can practice this skill, they better adjusted and emotionally intelligent they become. 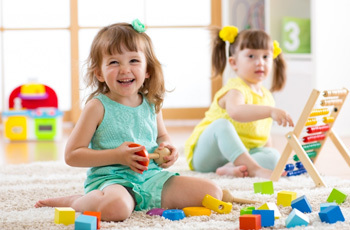 To find out more about our preschool programs, connect with us today.